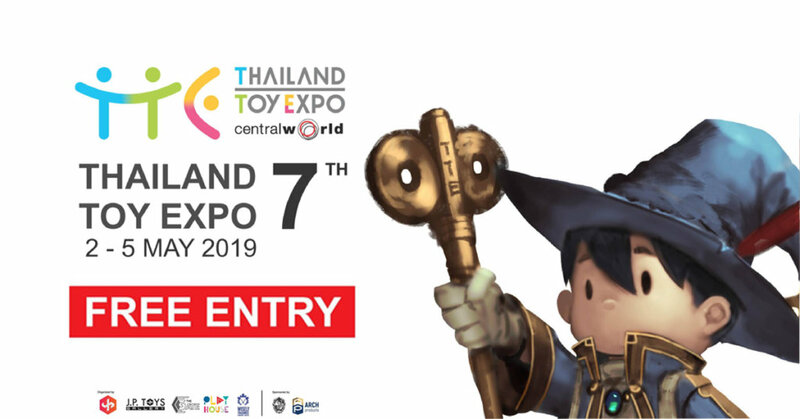 The Toy Chronicle family has enjoyed visiting Thailand Toy Expo over a number of years now and with TTE only 62 days until one of the biggest expo’s in Asia opens its doors again. Over the last few years, TTE has expanded even further not just exhibition space but the amount of artist and companies at TTE. Check out our 2017 recap HERE. Like no other expo we’ve been to TTE is ready to expand even more amazing brands joining, more exclusives, more surprises. Still, till this day we’ve never been at a Expo like it and one we will be returning to in 2019. Did we fail to mention it’s FREE entry? The dates have been confirmed and our flights booked as the countdown begins! 7th years of Thailand Toy Expo. Next year will be under the theme called Fantasy World. You can check out our Facebook live stream videos on our PAGE HERE of 2016, 2017 and 2018 TTE or our YouTube channel HERE for a taste of Thailand Toy Expo.